This is a quick post to answer a pair of questions I received here. 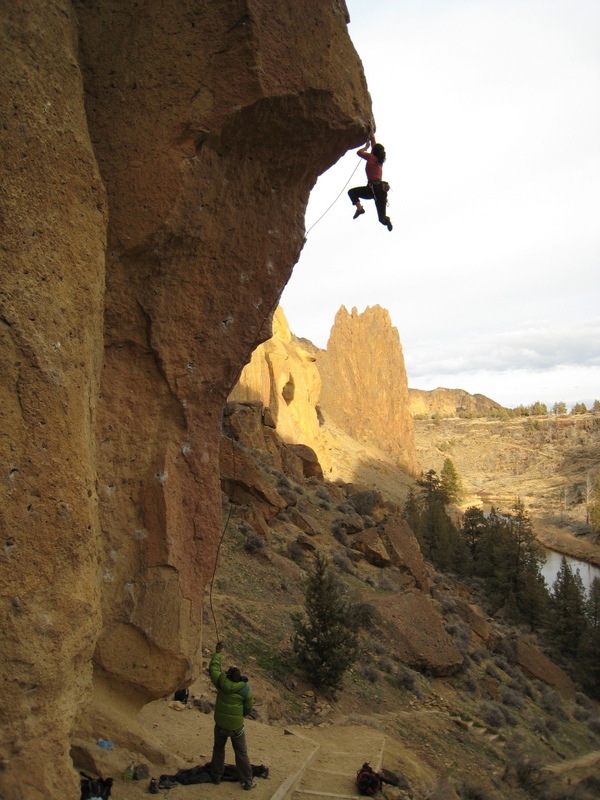 “I recently moved back to Bend, OR (and Smith Rock!) where I began my climbing career. 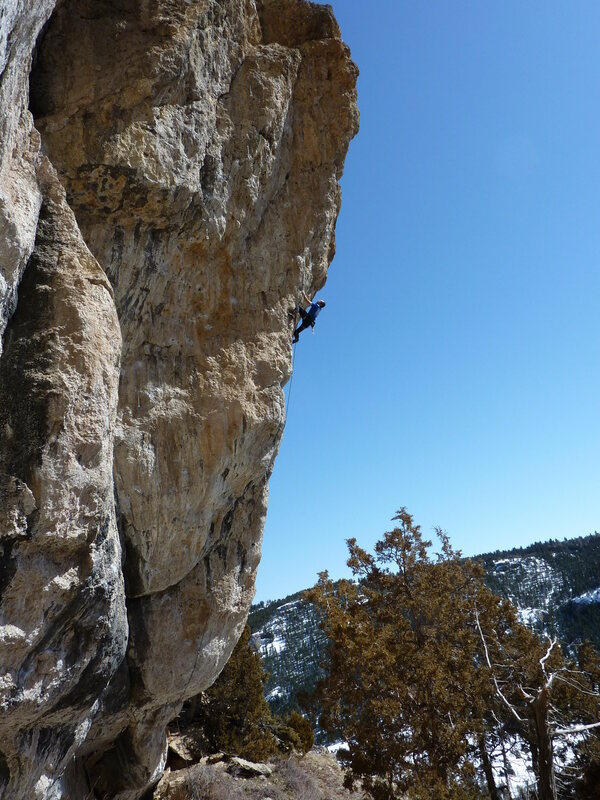 I moved from Colorado where I climbed Rifle almost exclusively. 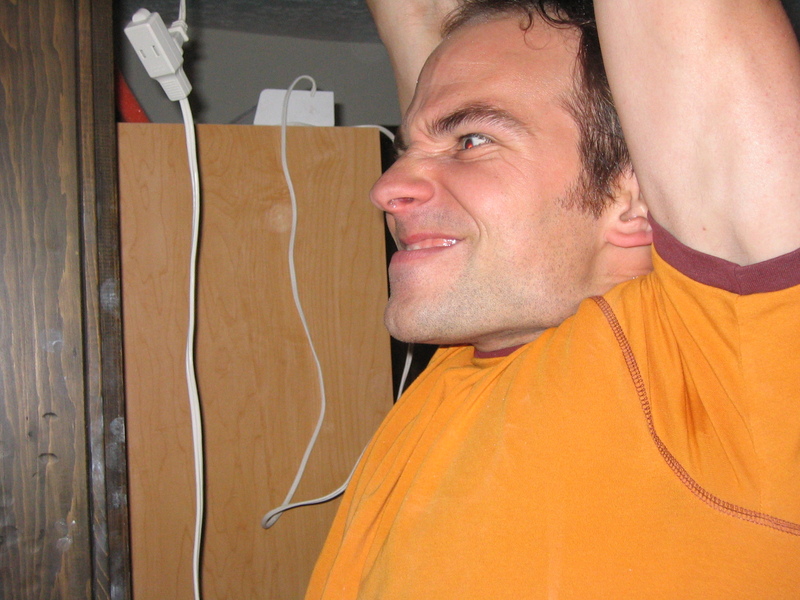 After a Fall of screaming forearms, I focused on training my severely lacking endurance over the winter. The gains I noticed this Spring were HUGE and I began to cross Rifle and Maple endurance-fests off my list quickly. Nothing beats bouldering if you want to build power while climbing on real rock. Smith has some bouldering, but it tends to be pretty miserable due to the freakishly sharp stone. As a great compromise, I would highly recommend “roped bouldering”. 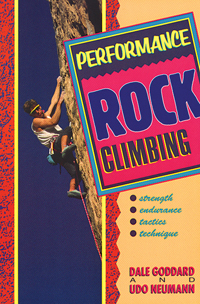 In many ways this can be even more effective than real bouldering, as usually the fall consequence is less serious. The flip side is that it works best with a dedicated partner (although it can be done solo with a rope soloing device and much gear fiddling). The procedure is simple: find a route with a boulder-problem crux, get a rope on it (preferably toprope through the next highest bolt above the crux) and work the boulder problem repeatedly off the dog. I find it more motivating to pick a route I’m actually interested in redpointing at some point later in the season. 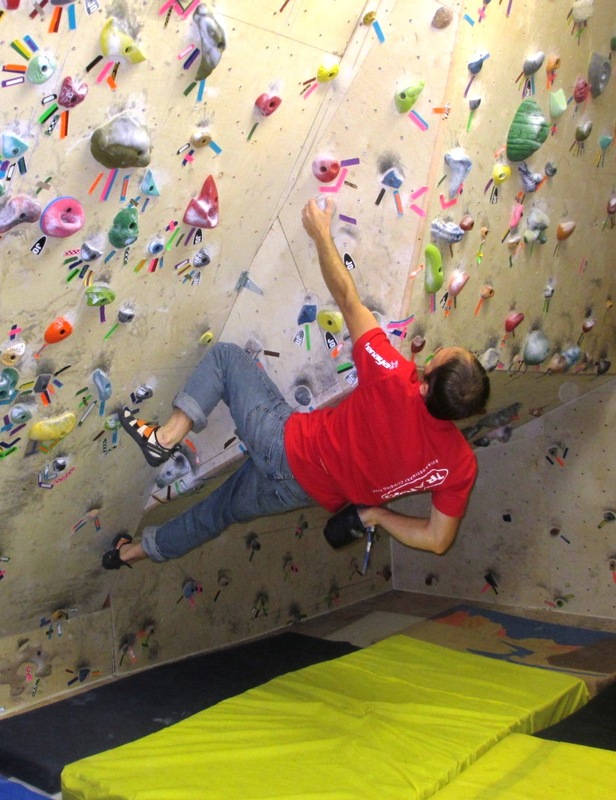 If you plan to spend a long time on your bouldering sessions, be considerate and pick a route that isn’t super popular, or save it for a weekday. Smith has a number of great ‘shorties’ that can make for a great boulder project. If you prefer to actually have a shot at sending something, another option is to pick a really short route. 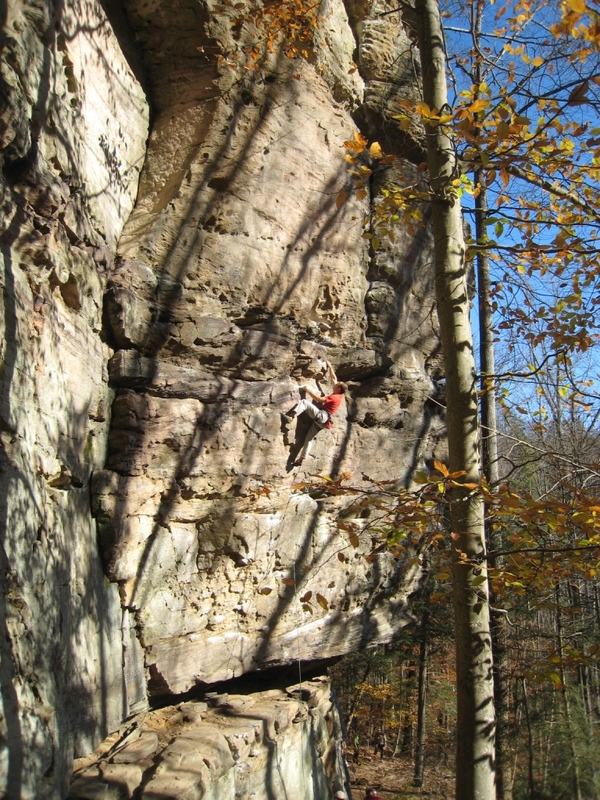 These routes need love too, and they tend to pack a wallop relative to their grade. Smith has a number of great mini-routes that could equally be described as extended boulder problems. Heresy, Da Kine Corner, Energy Crisis, Mothers Milk and Jam Master J are only a few examples. Remember to get a decent power workout you need to do it while you’re fresh, so do it first thing after a complete warm up. As for your second question, consider doing “laps” on a pumpy route you know well. This is a popular past-time for the Smith locals–I’m sure you’ve seen them lapping Churning in the Wake as the sun sets at the end of a long day. Ideally you would select a pumpy route without much rest (and certainly no hands-free rests; or skip any such rests), and a route you know fairly well. At Smith another consideration is to find a route that isn’t super sharp (good luck with that!). Some good choices off the top of my head might be Magic Light, Overboard, Heinous Cling (short or long version), the aforementioned Churning, Aggro Monkey or Scarface. Obviously its key to find the right difficulty, probably around 1 number grade below your redpoint limit (or just about equal to your onsight limit). Climb the route from bottom to top, then lower, rest 3-5 minutes (keep track of your rest interval and keep it consistent), then repeat. Try to do 3-5 laps, building up progressively by reducing the rest interval and increasing the number of laps from workout to workout. If it becomes trivial, move to a harder route. 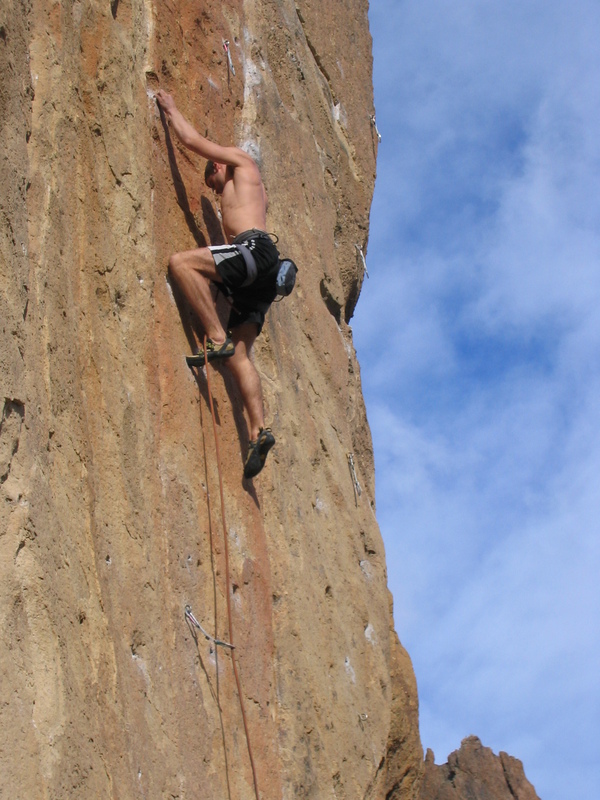 If you fall off, try to pull back on and continue Climb at a normal pace, but don’t milk any really good rests. Good luck and enjoy the great routes at Smith!